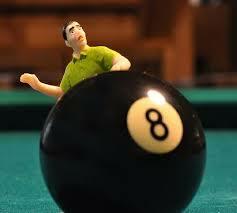 Me again...behind the 8 ball. 2-4 and man this has not been a good run at all. Yesterday's games were more than frustrating as the Angles blow up and then almost come back to tie. The White Sox have bases loaded in extras two runs shy of hitting the over and the game is ended on a walk off HBP. A guy named Chi Chi shut out the Royals, and Chris Tilman decides to actually pitch a game. All in all it was a shyt show and now I'm down 5% I don't have high hopes at all this week I'm that hitter with two strikes just trying to get back to even. MadBum had a bad game lst time out and I think this is a great bounce back opportunity for him. The Giants are seeing the ball well and Philly...well it's Philly. The result of this early game will dictate how I proceed for the rest of the day. There will be adds but not sure of the strategy.